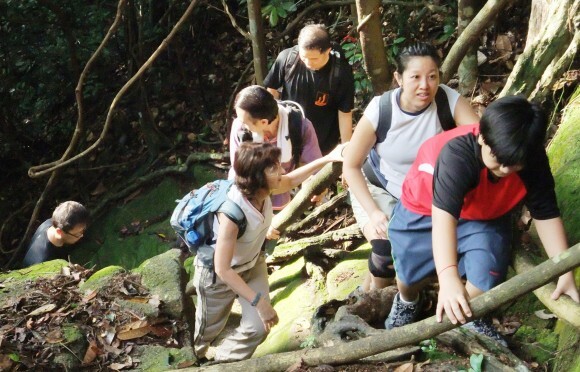 Trekking is a relaxing and refreshing form of recreation and exercise. It is not so vigorous like jogging nor too pedestrian like walking. 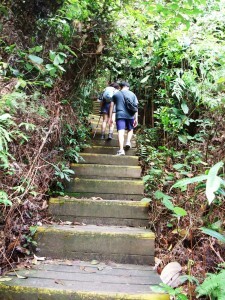 There is that exertion that will make you perspire as you climb up slopes. However for the most part you trek at a steady pace. After two hours your shirt is drenched. 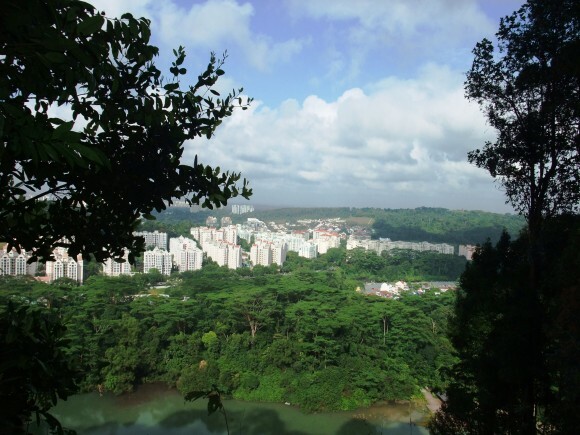 The air is usually fresh and cool in the morning at Bukit Timah Hill and the sunlight hardly hits the ground as you walk most of the time under an emerald umbrella of branches and leaves. When completed you always felt good that you pushed yourself to get out of bed at 7am on a Saturday. As you ate your brunch, you felt gratified that you have had a gentle but long workout. The Rock Path trail is off the bitumen main path from foot to summit. It is called thus because there is a steep slope of granite rocks that you have to climb and you need to hold on to vines as large as a bodybuilder’s biceps on your way up. Most kids would enjoy this stretch and find it challenging but doable. The other day I chanced upon this lovely view from the top of the disused granite quarry. 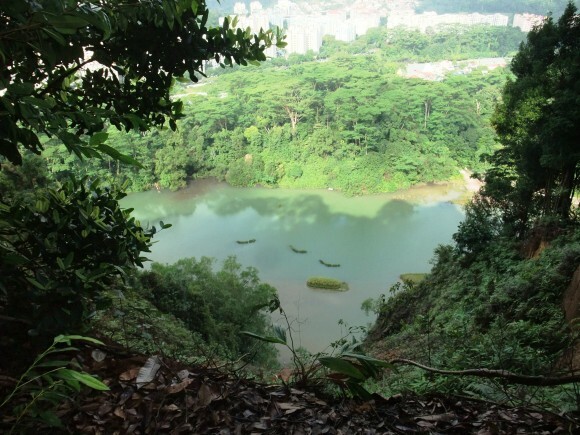 A lovely little grove that overlooks a quarry pond, and in the distance HDB flats. I did not know of this place until recently and not many others know of this place, so I’d like to keep it so. Acquaintances easily form during and after this activity. There are those breaks when we drink, rest and talk. During the trek all kinds of pleasant and serious conversations take place. And after the trek, we eat at a hawker centre and chat about life, politics, and religion and…. the next overseas trek. The trekking group have been together for quite some time with departures and additions over the years. And they have gone several overseas trek every year. 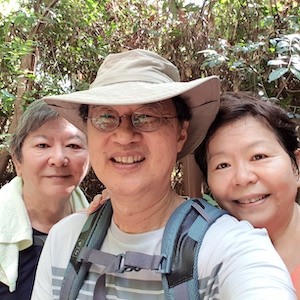 The last time I was with them on such a trip was several years ago in Nepal. 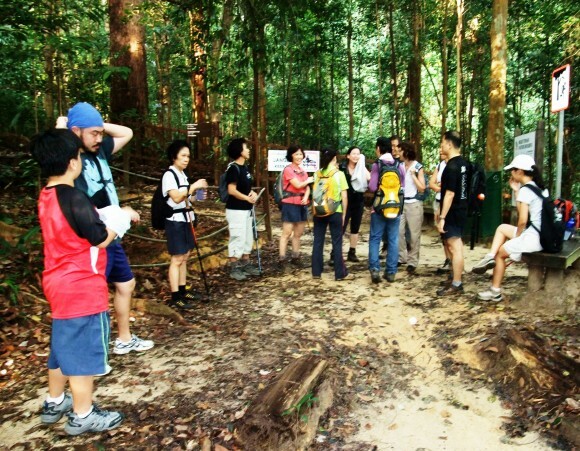 Now I plan to join them on a rough Gopeng trail in Cameron Highlands. I find I need a goal to give me the motivation to be diligent in preparation. The benefits are health, recreation, fun and good company.